All calculations made on calculators supplied on this site, together with rates quoted, are guidelines only and are subject to confirmation at the time of finalising any transactions. 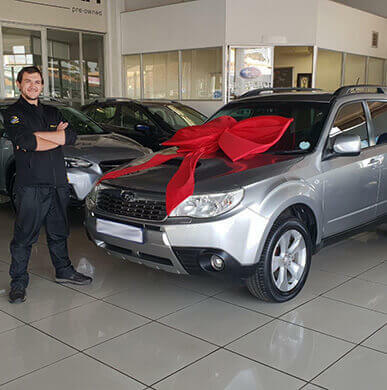 All information regarding the products, fees and/or costs which are included in and form a fundamental basis of the calculations is subject to change at any time prior to a final pre-agreement quote being handed to the user.The user indemnifies Subaru against any loss or liability, which the user may suffer as a result of the use of any calculator. The site and all information provided on this site and the services provided on this site, are provided "as is". The information provided on this site should not be treated as professional advice of any kind. 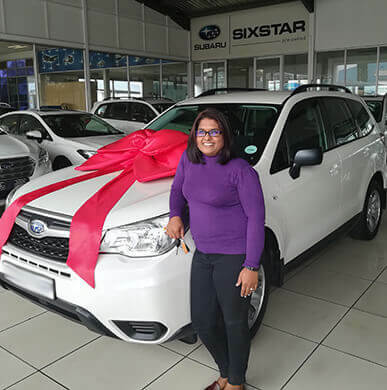 The Forester features a refined interior with high-quality soft-touch materials, available leather seats and reclining rear seats that fold flat to increase boot space. Available double-volume power sliding sunroof with sun shade cover. The power rear gate will take some of the work out of loading. Use the switch on the instrument panel, the gate or the key fob, and it opens or closes automatically. Located conveniently in the instrument panel, informative car vitals are displayed at a touch of a button. It features environmental performance and efficiency – even allowing you to compare efficiency between different trips. LED Steering Responsive Headlights with High Beam Assist actively track in the direction of a turn to enhance visibility. If you’re approaching oncoming traffic at night, auto high beams will sense the road ahead and automatically switch to low beam. Available 8 Harman Kardon® speakers, including subwoofer and amplifier. 6-speaker audio CD/USB/AUX/RDS receiver system with multifunction display integration and steering wheel controls. An impressive 488ℓ boot which expands to 1557ℓ when the rear seats are folded down in a 60/40 split. Four tie-down hooks and two utility hooks help to secure loose items, and a 12V power outlet offers added convenience. From the very beginning, Subaru vehicles have provided drivers with a uniquely confident experience behind the wheel. The core technology that drives this feeling: the low-profile Subaru Boxer engine, world-renowned all-wheel drive system, fully independent suspension system and lightweight, ultra-rigid chassis. 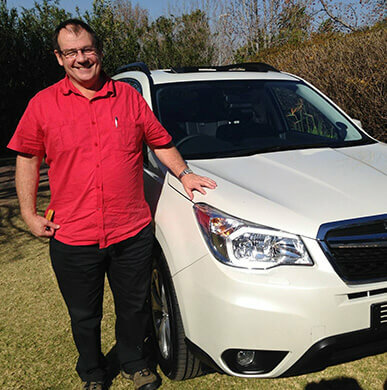 Here, the result is the 2018 Subaru Forester, an honest-to-goodness SUV with completely unique qualities for an SUV, including superb handling and stability, impressive efficiency and dynamic all-road/all-weather performance. Permanent Symmetrical All-Wheel Drive (SAWD) delivers power to all four wheels at all times, ensuring enhanced control of the Forester on or off-road – even in poor conditions. The entire drive system, from the Boxer engine to the rear differential, is mounted in a straight, symmetrical line, delivering the Forester's stability and balance. 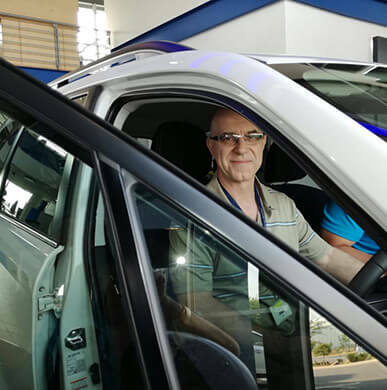 The Vehicle Dynamics Control System monitors and analyses if the vehicle is following the driver’s intended course via an array of sensors. If a tyre slips or a high-speed turn causes the vehicle to veer off its intended path, the AWD torque distribution, engine output and brakes at each wheel are adjusted to assist in keeping the vehicle on course. While most engines stand vertically, our Subaru Boxer engine lays flat – delivering handling that no other engine can. Sitting horizontally in the engine bay, it moves like a boxer’s fists with a punch and counterpunch action. With perfect balance and a much lower centre of gravity, it creates less noise and vibration too. When activated, X-Mode with Hill Descent Control takes command of the engine, transmission, Symmetrical All-Wheel Drive (SAWD), brakes and other components to provide the best traction and grip in difficult conditions. Hill Descent Control moderates speed and braking for you when going downhill, allowing you to concentrate on steering. 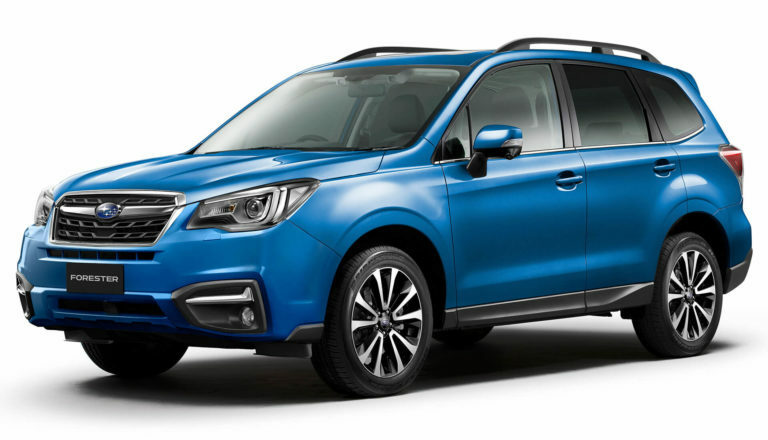 The 2018 Subaru Forester has been designated an IIHS Top Safety Pick for the way in which it incorporates the latest thinking in active and passive safety, including structural and technology enhancements that have boosted standards to new heights. 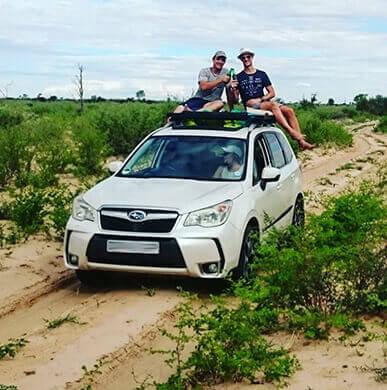 Fitted with a world-class all-wheel Drive system, striking agility, superior visibility and class-leading active safety systems such as Vehicle Dynamics Control, the Forester excels with unbeatable evasive capabilities – especially for a compact SUV. 5 star safety ratings and Top Safety Pick Awards globally. If you’re reversing and a vehicle drives past behind you, you will receive an audible and visual warning. Perfect for Saturday morning shopping. While you’re reverse parking, the Side View Monitor indicates the distance from the pavement or a parked vehicle. The Rear View Camera scans the road behind you, and alerts you if anything is in the way. The Forester offers exceptional visibility in all directions. The A-pillar and partition windows are integrated into the front doors to reduce blind spots. The side mirrors are placed on the door panels to create improved visibility (forward and back). The glass area and the side mirror surface area are large. If a vehicle is in your blind spot, a light symbol in your side mirror lights up to let you know. If you’re changing lanes and a fast approaching vehicle is behind you, a light symbol will warn you of its presence. In the event of a head-on collision, the Subaru Boxer engine and transmission are designed to absorb impact, and then break away from the vehicle structure and drop below the passenger cabin for added protection. This proprietary advanced frame design strengthens the passenger compartment by linking the roof to the side pillars and the floor. As a result, impact energy coming from all directions is dissipated and then diverted away from the passenger cabin. An independent test conducted by the United States Auto Club looked at the power and reaction in extreme slippery conditions of the top five small all-wheel drive crossovers in the industry. See how the Subaru Forester fared against the Ford Escape, Mazda CX-5, Toyota RAV4 and Honda CR-V.
My Subie is special because she is unique. She stands out from the crowd and often captures an inquisitive eye or the attention of another Subaru driver. 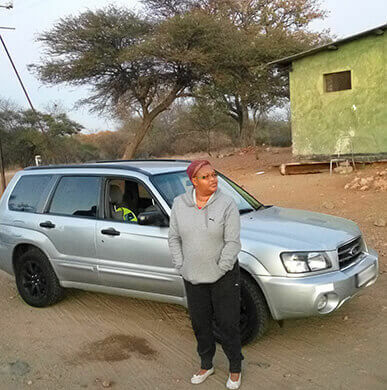 She is reliable, always willing to assist – whether it is a short drive to the mall or an adventure through the thick sand of the Kalahari. I replaced my previous Forester with a Forester and the likelihood of replacing my Subie with something that is not Subaru is highly unlikely. Once you’re hooked, you are hooked. It’s my first Subaru and it is awesome driving it!. More than 10 years old and still brings me immeasurable pleasure every time I drive it. Still looks the part in this modern day and age!. The double-volume sunroof is brilliant for game viewing. Very comfortable ride. Excellent road handling, especially on hardened rural roads. We can travel on hills and steeps, even in bad weather conditions. 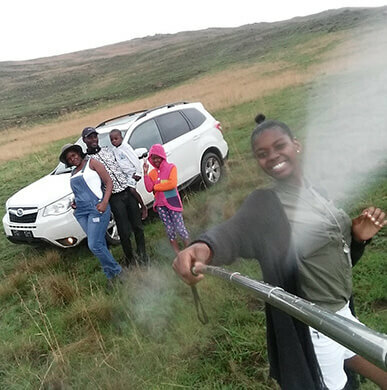 With the space in the boot, I can travel for days with my family. The technology that comes with the car at no extra costs is amazing. We got our ‘treasure’ in 2016 and we have made such memories in it. I love the way it gave us a smooth ride on the terrible Zimbabwe roads. I also love the fact that I have power on tap, whenever it’s needed. It’s a beautiful car. From the moment I took the Subaru for a test drive, I knew it was in a different class. Subaru is value for money, compared to vehicles in the same class. Subaru is safe and of excellent quality. 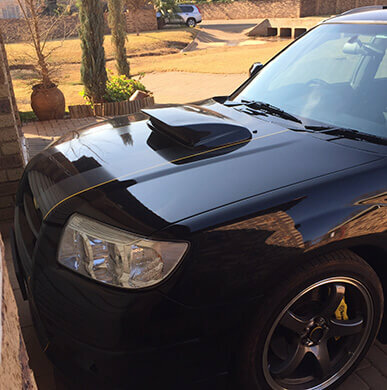 I know several Subaru owners who are passionate about their vehicles and tend to keep them. I love being able to drive my Subaru in urban areas, but also to take it off-road. 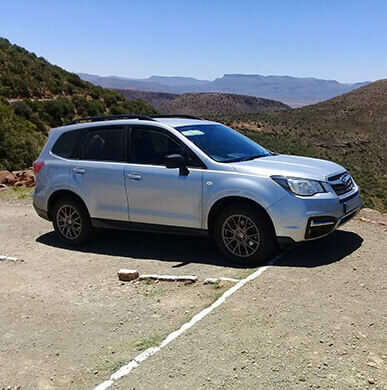 My Subaru took us safely up and down the Sani Pass last year.